May 13, 2016 –Pensacola, Fl— In celebration of Pensacola’s very own Gulf Islands National Seashore, the Naval Aviation Museum Foundation invites audiences to experience the ultimate off-trail adventure into the nation’s great outdoors on it’s recently upgraded Giant Screen Theater featuring 4K digital laser projection. 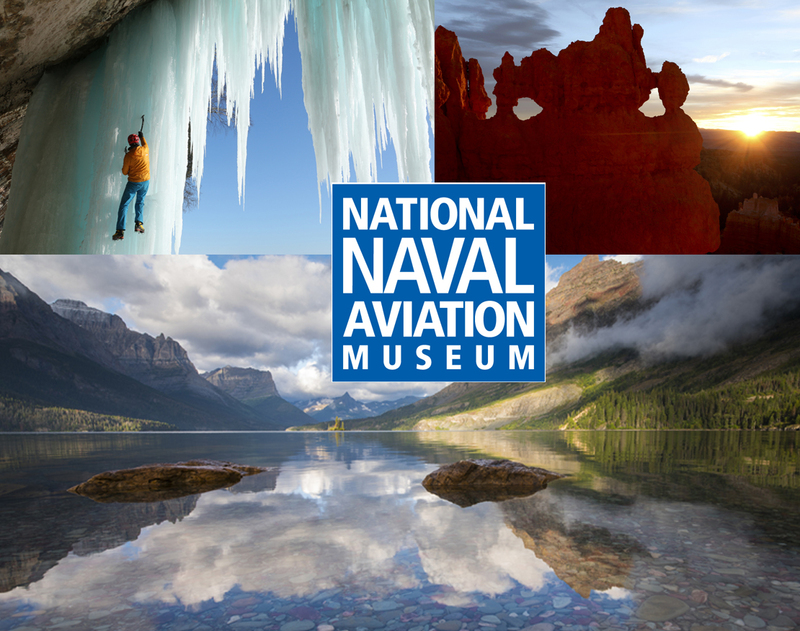 “National Parks Adventure” celebrates the Centennial Anniversary of the U.S. National Parks and will begin screening daily at the Naval Aviation Museum’s Giant Screen Theater on May 27 and run through June 30. Narrated by Academy Award® winner Robert Redford, “National Parks Adventure” takes audiences into the nation’s awe-inspiring great outdoors and untamed wilderness. Moviegoers will soar over red rock canyons, hurtle up craggy mountain peaks and into other-worldly realms found within America’s most legendary natural playgrounds, including Yellowstone, Glacier National Park, Yosemite, the Everglades and Arches. “National Parks Adventure” captures the stunning beauty of our wild places and reminds us these landscapes are an essential part of the human spirit,” states narrator Robert Redford. Filmed in more than 30 national parks across the country, this immersive film for giant screen follows world-class mountaineer Conrad Anker, adventure photographer Max Lowe and artist Rachel Pohl as they hike, climb and explore their way across America’s majestic parks in an action-packed expedition that will inspire the adventurer in us all. “It is our hope that the movie will inspire museum viewers to head just across Pensacola Bay to explore the beauty and natural wonder of Gulf Islands National Seashore,” said Malerie Shelton with the Naval Aviation Museum Foundation. “National Parks Adventure” is a MacGillivray Freeman film produced in association with Brand USA and presented globally by Expedia, Inc. and Subaru of America, Inc. with major support from the Giant Dome Theater Consortium. From the same award-winning producers of “The Magic of Flight,” the museum’s own movie, “National Parks Adventure” follows in the tradition of MacGillivray Freeman’s giant screen films – including “Everest,” “Dolphins,” “The Living Sea” and “To The Arctic” – that are set in some of the most extraordinary places on the planet.